The City of Belle Plaine has approved a proposal from the Satanic Temple to erect a “Baphometic Bowl of Wisdom” monument. 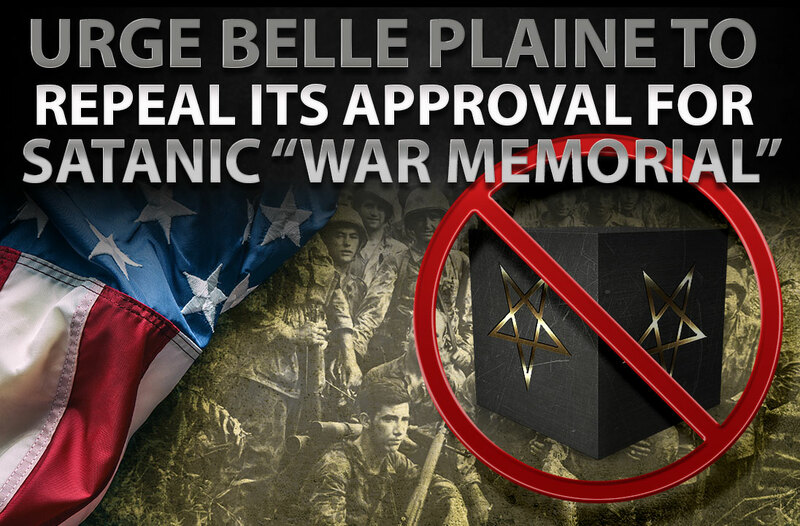 It is a black, steel cube with inverted pentagrams etched into the sides of the monument, topped with an overturned soldier’s helmet. It is named after an androgynous half-goat, half-man demon. This is an insult to our soldiers and an offense against God! Please urge the City of Belle Paine to revoke the permit given to this Satanic monument.